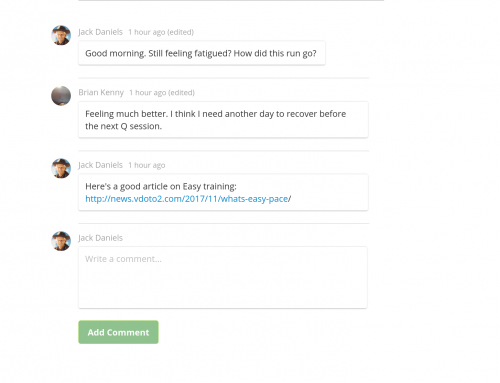 VDOT O2 now allows coaches to save cross training activities to favorites. 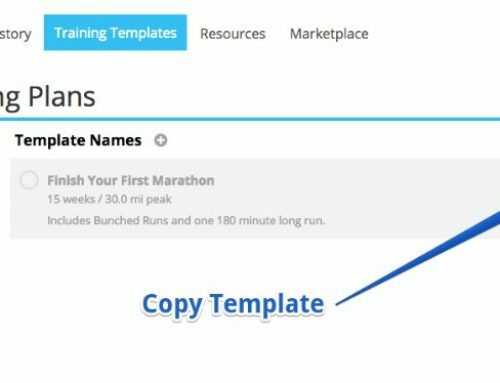 Coaches can save time by organizing their athletes’ cross training workouts into folders and quickly adding them at a future date. 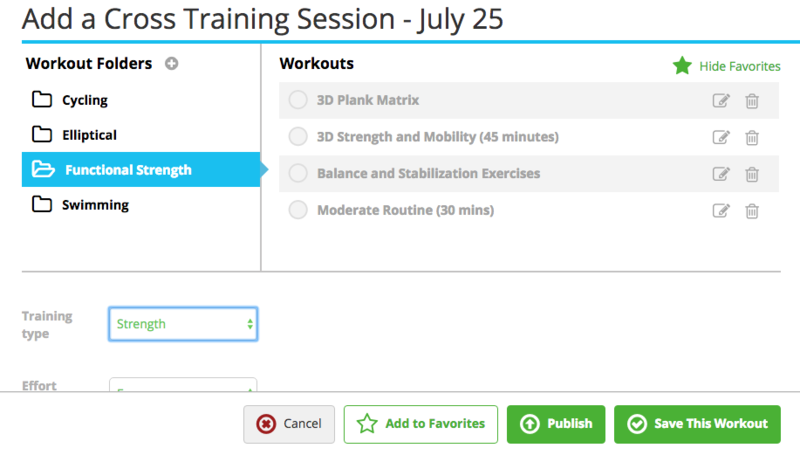 When adding cross training click to Show Favorites to create and edit your folders. 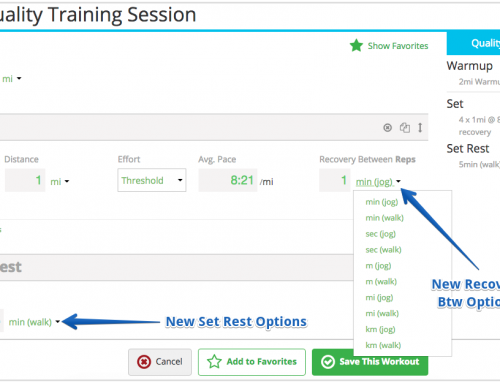 Then, whenever you’re saving training make sure to Add to Favorites. 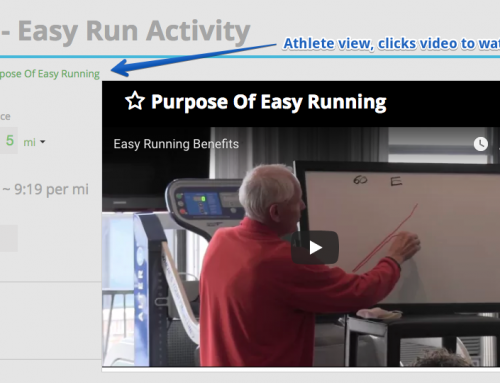 What types of cross training are you incorporating in your athletes’ training? We recommend functional strength training 2x per week and make sure it’s functional and not too intense. The goal is to support the running, not take away from it. 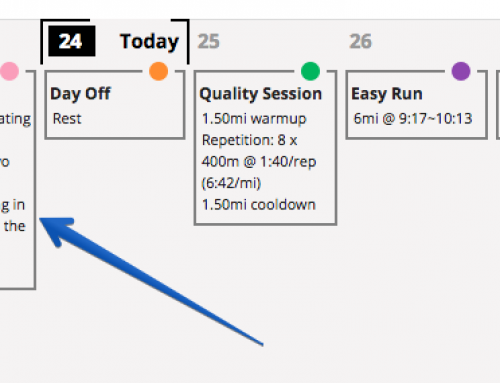 Non-impact training like cycling or swimming is great as well if the athlete is coming back from injury or you’re looking to supplement their running without adding more risk of injury.